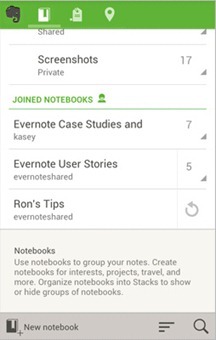 Evernote is a great little cross-platform service that lets you sync notes between devices and save them in the cloud. 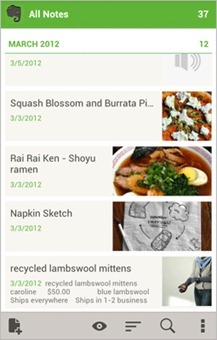 Using Evernote is so seamless for me, it's like outsourcing my memories to the internet. 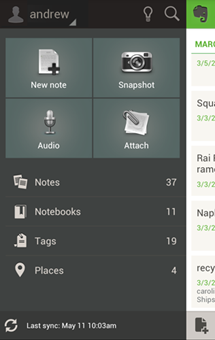 The app was nothing to sneeze at before, but it just got a big update to version 4.0 that brings a new look and a few features that fit in perfectly with Android 4.0. Evernote 4.0 jives with the Ice Cream Sandwich aesthetic without losing its brand in the process. 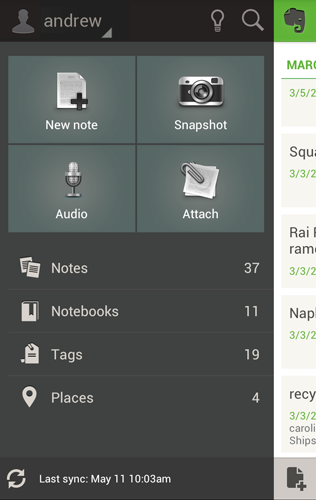 There's still a lot of green around, and the developers chose to stick with some of their own icons rather than use the stock Android ones. Evernote is free for up to 60MB of monthly bandwidth, which is plenty for most users.